This Swedish Historical Museum wedding in South Philadelphia is full of amazing wedding inspiration! 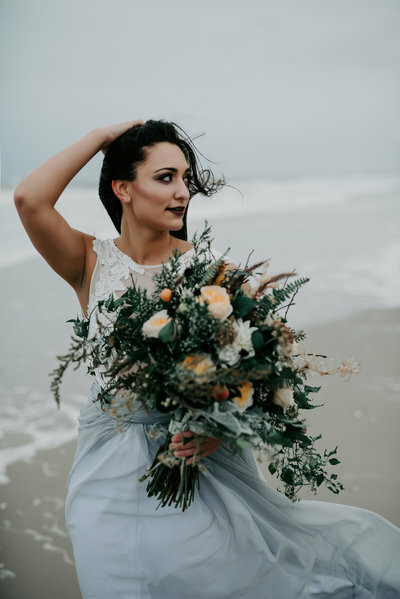 Amy Kate and Doug had no shortage of original ideas and amazing style for their gorgeous October wedding! Starting with the invitations by Minted , the lush, organic greenery was the perfect compliment for this wedding. The invites paired perfectly with the bouquets and floral design by Vault and Vine. Amy Kate and Doug had their first look at the Philadelphia Navy Yard, which reflected their architectural and design background. The bridal party then went over to FDR Park for some additional pictures around the gazebo and boathouse. Claude shot an amazing picture with the drone, capturing the Philadelphia skyline, Swedish Historical Museum and the Boathouse all in one (plus AK + Doug of course!). Finally, Amy Kate and Doug had a very romantic ceremony at the Museum. The unique setup of the Swedish Historical Museum’s garden allowed us to get some amazing perspectives. After the ceremony, the guests noshed on amazing food from Jeffrey Miller Catering. Amy Kate and Doug had the most epic first dance, as the had a dramatic entrance down the steps of the Swedish Historical Museum as their guests watched from above. Congrats AK + Doug!